← You are watched, mostly when decisions are tough. How much risk you and your company are willing and able to tolerate over time? Most people believe that early stage companies should take risks aggressively because there is less to lose and much more to gain with each risky bet or decision. 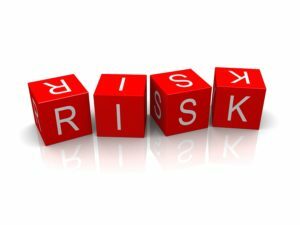 Common thinking goes on to address large, public corporations by expressing that the relative tolerance to risk is decreased, in favor of protecting the brand or financial health of the enterprise. Either way, as in a Las Vegas casino, the numbers of times risks are taken directly affect the average outcome over time. Take an extreme risk once, and you may win the bet. Your average is 100%. But for any sized company to continue to take major risks the averages will surely catch up and the rate of success falls to the mean, which we will assume to be 50% of the risks result in failure. Depending upon the size of each risk, this may be entirely acceptable, as in small bets at the gaming table. But let’s raise the ante by addressing only those risks that are game-changing, those that “bet the farm.” Occasionally, a CEO must make a decision that commits all the corporate resources to a successful outcome. Using all the company’s cash and credit to produce a new product that is untested but shows every promise of success is one such bet sometimes made by CEO’s of companies large and small. Automobile companies are famous for making such bets on cars that won’t be on the market for 18 to 36 months from decision date, arriving at a time when gas prices and consumer preferences may have changed dramatically during that time. [Email readers, continue here…] Some of those bets were unbelievably successful, such as the introduction of the Ford Mustang. Some were complete failures, such as GM’s emphasis upon design and production of larger cars and SUV’s even as consumers were voting with dollars for smaller, fuel efficient cars from foreign manufacturers. And how about the recent Ford decision to eliminate all but one sedan from their line-up? What might happen when gas prices rise again to untenable levels? SUV’s and trucks only? Would you have made that decision? We must assume that the auto company CEO’s made their decisions to build based upon all available information, including consumer tests and market surveys. Many smaller companies just do not have the resources to do this in depth before committing resources which loom as massive to them toward a new product. Whatever the outcome, it is a safe statement that a decision-maker should commit major resources amounting to a bet of the business only when there is little alternative, that there is so much to gain that it overcomes the crippling loss that could occur. There are only so many times a CEO can get away with succeeding with such risky strategies. 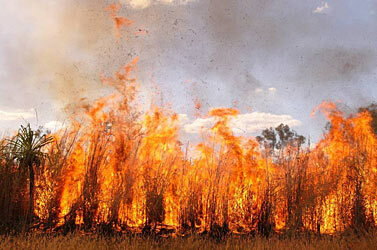 3 Responses to Business risk: Bet the farm only when the crops are on fire. It’s a tricky analysis. On one hand, each Vegas bet is independent of the prior bet. Tossing a coin has a 50/50 chance of being heads or tails. The odds on the next coin toss are unaffected by the prior coin toss. But, on the other hand, the Law of Large Numbers suggests a kind of ‘regression toward to mean.’ But the Law of Large Numbers applies only to repeated experiments, not a new experiment (as would be the case of the Ford Mustang as opposed to Ford’s single sedan). Definitely one of the best bits of wisdom I’ve heard in a while!